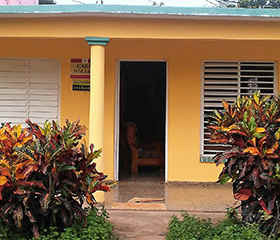 A particular House in Viñales where two acclimatized independent rooms and private bathrooms are produced. 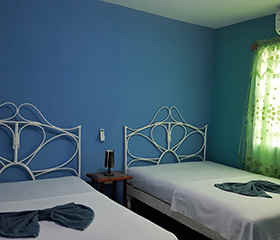 The rooms are one beside the other one and they have in front a wide terrace with view to the patio and the mountain. 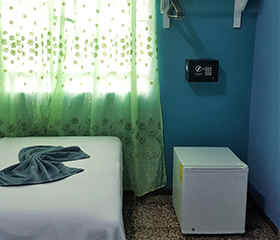 Each room has two matrimonial beds, table at night, hangers of clothes, mirrors, hair dryers and one of the rooms also has a small refrigerator and a safe. 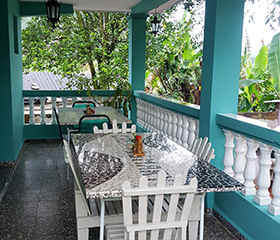 The house is located to 5 minutes walking of downtown. 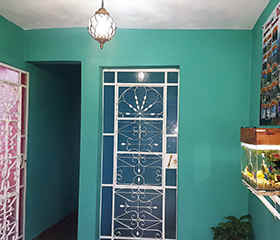 La casa está a 5 minutos del centro de la ciudad donde está ubicado el banco, la plaza Polo Montañez, además hay muchos restaurantes, bares , y la zona de wifi en toda la calle principal y toda lo que necesiten que está realmente muy cerca.